Webinar services like GoToWebinar and Webex are brilliant for creating online conferences for national and international audiences. They are economical: think what you’ll save on venue hire, travel expenses and time. That also means they are environmentally responsible – no air miles here! And they are also data rich: You can use power point, share documents and have multiple contributors. However they can be limited. They rely on webcams and built in audio, so the quality might not match your brand values . They can also get a bit chaotic when there are multiple contributors trying to get their point across, with some that you can see and some that you can’t. 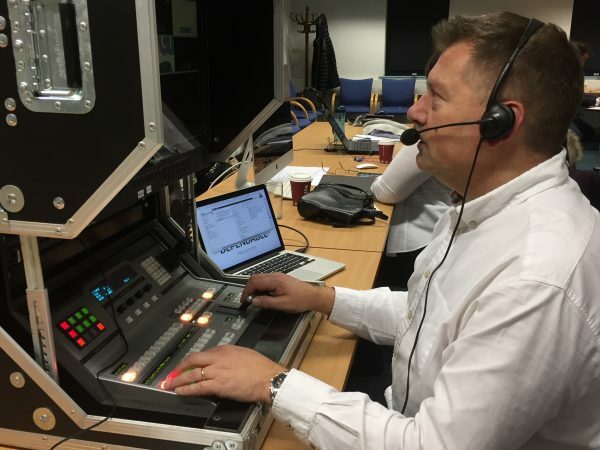 We combine all the benefits of a webinar with high quality production values, to deliver an interactive experience that, with a good internet connection, looks and sounds as good as a TV broadcast. Our mobile studio takes over the host webcam functionality, replacing it with multiple cameras and microphones. 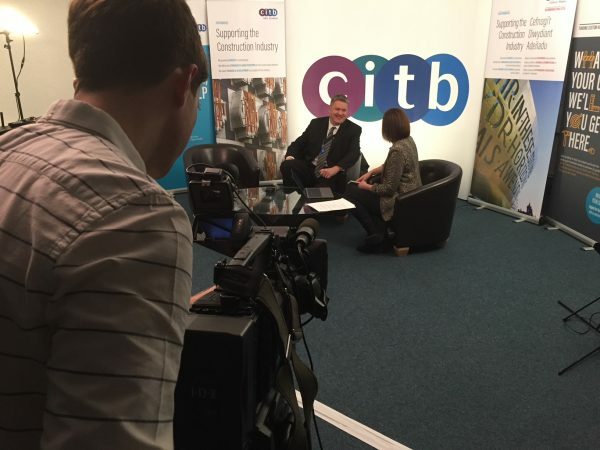 We can then film panelists and presenters in discussion, while responding live to questions from the invited delegates via the webinar platform. We can also create pre-recorded videos to enhance the experience. The result is a magazine style programme in broadcast quality – held together if needed by a presenter, who might be one of your people or it could be our in house presenter, Kate Simms, a former BBC presenter with more than a decade of TV experience.